US 50 to SR 48 to lot on Butler to lt on Butler Ct at end of cul-de-sac. Sign on. Very rare find at an incredible location in Lawrenceburg Schools! 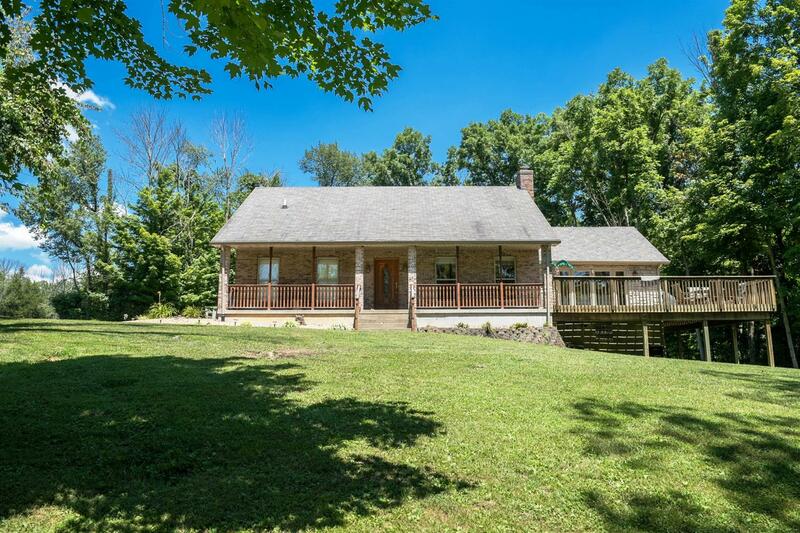 Brick ranch on private, 2+ acres! Well-cared for w/3bds, 2ba; hrdwd flrs; granite counters; beautiful ktchn; wood-burning frpl; lrg family rm w/tons of natural light overlooking woods! 3-c fin gar w/heat & a/c; fin walkout LL; new a/c & furnace unit; lrg shed; cvrd porch; deck.